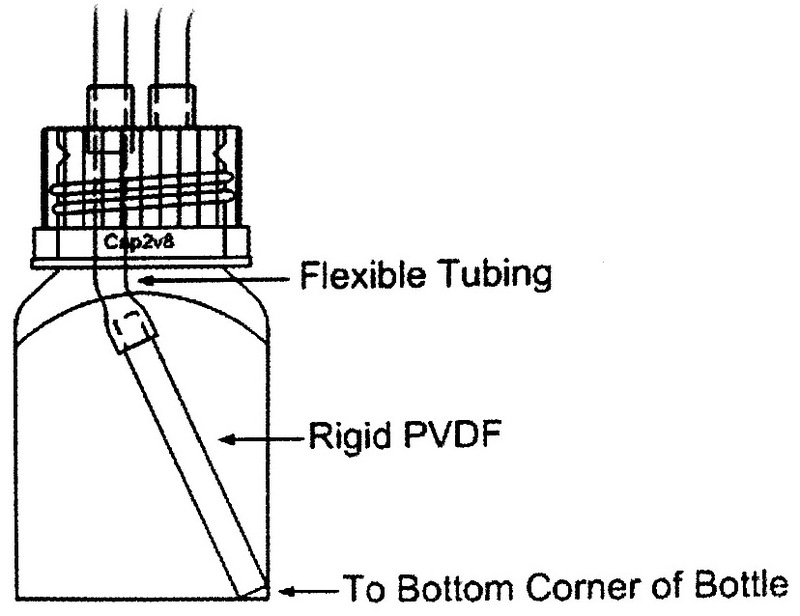 Last Drop – A dip tube specifically designed to reach the bottom of any container. Last Drop forces itself directly into the bottom corner or outside edge of a bottle allowing for the return of every "last drop". Last Drop gives the added advantage for bottle mixing by positioning itself out of the way from a stir bar. 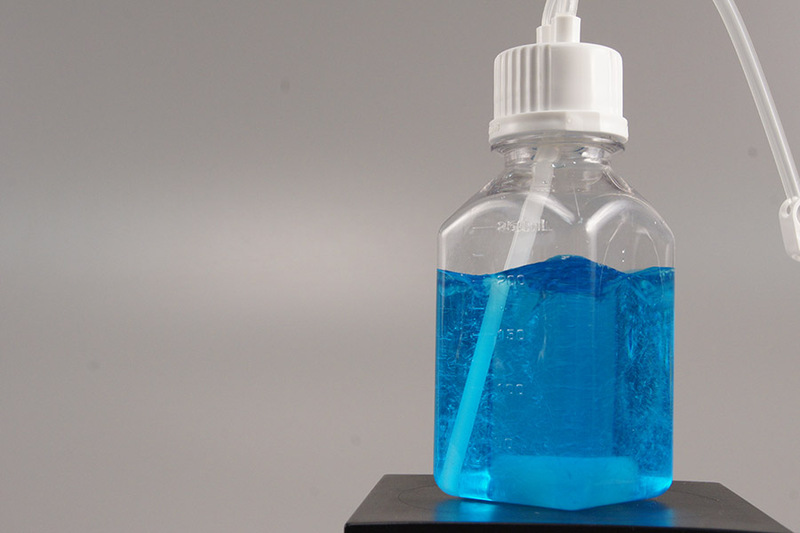 SaniSure® Cap2v8® Last Drop™ can be incorporated into any bottle assembly, a technology that utilizes a rigid dip tube in conjunction with the flexible tubing. As the cap is screwed on to the bottle the dip tube gravitates to the bottom corner of the bottle, allowing customers the ability to return every “last drop”. Increase the yield by removing more product from your various bottle assemblies thru SaniSure® Cap2v8® Last Drop™ technology.